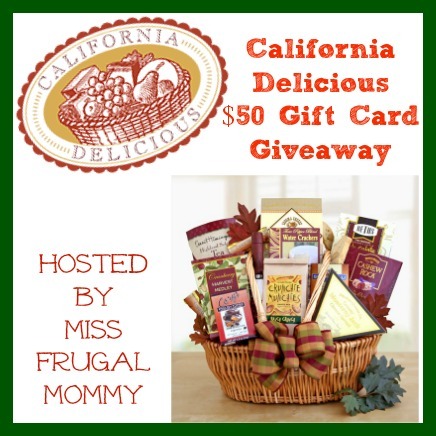 Welcome to the California Delicious Giveaway – Like Gift Baskets? You’ll like this giveaway! Read more about California Delicious in Miss Frugal Mommy’s Review! One winner will receive a $50 gift card to California Baskets! **Finger Click Saver is not responsible for prize shipment. I’d possibly get the Sonoma Sparkler Organic Gift Basket for my brother! I like the Godiva chocolate gift basket deluxe. The Golden Sleigh Holiday Gift sounds great. I would choose the Golden Star Gift Tower of Chocolates.